Anti-cancer herbs and supplements for cancer prevention can be powerful allies in your quest to prevent and heal this dreaded disease. Many claims about these herbs are backed by research and/or anecdotal evidence collected over hundred or thousands of years. 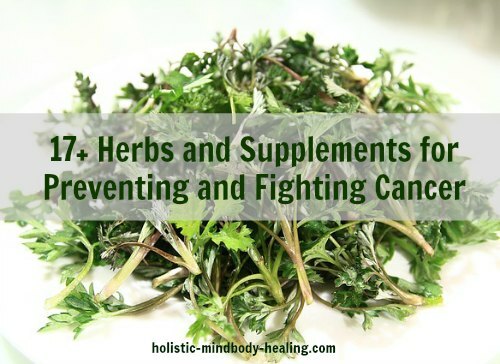 Cancer fighting herbs can help you beat this disease, especially when used along with healthy anti-cancer foods, detoxification, and appropriate conventional and/or alternative treatments. Most herbs have general cancer fighting benefits. For their own survival, they have built in compounds for warding off invaders and microbes. Their life affirming compounds contain anti-oxidants and have anti-inflammatory and anti-microbial effects important for good health and for fighting cancer. In addition to these general benefits, several herbs have more specific actions. Some promote cancer cell death (apoptosis), meaning they inhibit the ability of rogue cells to be immortal. This is accomplished either by killing them directly or by restricting their ability to grow blood vessels. This all important blood supply brings nourishment and is the avenue that allows tumors to grow and travel to other body parts. Other anti-cancer herbs help prevent and heal cancer by boosting the immune system. which is often compromised in cancer patients. Killer cells in the immune system must be able to see and kill cancerous cells in order to keep them under control. Not all herbs for cancer affect tumors and cancer cells. Some of them help patients by easing pain and the nausea and vomiting caused by their treatments. The following list is a sampling of anti-cancer herbs that may be a helpful part of your natural cancer prevention or treatment protocol. Some of them, like dandelion, chamomile and turmeric, can safely be part of your daily diet long-term. They may prevent, as well as treat the disease. To have a potent effect on existing cancer in your body, you will have to take therapeutic doses. For general health and prevention, including a variety of anti-cancer herbs and foods as part of your daily diet will be helpful. Others, like bloodroot are specific for treatment and must be used carefully. Read the herbal profile of anti-cancer herbs and consult an expert before using them to make sure they are safe and appropriate for your needs. If you are receiving medical treatment, check for negative interactions first. Red Clover eases inflammation and is a good source of anti-oxidants. It has a long history of use as a blood purifier and in herbal natural cancer cures. Red clover is rich in phytoestrogens, or isoflavones, which are responsible for its anti-estrogen activity. These isoflavones may help with estrogen driven cancers, including breast and prostate cancers. Red clover shows a marked limiting effect in benign prostate hyperplasia, a non-cancerous enlargement of the prostate. 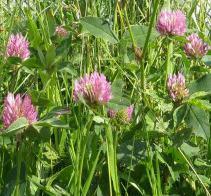 Because of its blood thinning coumarin, red clover should not be taken before surgery or if you are on blood thinners. If using dried red clover, make sure the flowers are pink and not browned. Sanguinaria canadensis has proven useful for carcinomas and sarcomas. This powerful anti-infective herb has a long history of treating skin cancer, gangrene, warts, oral infections and fungoid tumors. Bloodroot needs to be used with great care as it may cause serious side effects including nausea, inflammation, and scarring. It is one of the herbs in Black Salve, which is applied topically to eradicate skin cancer. My herbalist friend used black salve to heal her husband's skin cancer. Astragalus root is a safe, effective adaptogenic herb with a glowing reputation as an anti-cancer herb. Astragalus has been shown to increase the survival rate of patients undergoing chemotherapy and radiation by up to double and is used to enhance recovery. Most notably, astragalus boosts the immune system and reduces immune suppression caused by chemotherapy (Sloan-Kettering Study). It increases the number of killer T-cells and other white blood cells and makes viruses, bacteria and rogue cells more visible to the immune system so they can be destroyed. Astragalus inhibits the ability of tumors to grow and spread. Astragalus is worthy of being a regular addition to your diet. Add the root to soups and stews, drink as a tea, or take in capsules. Hemp, or cannabis, has many medicinal purposes. It's two most studied molecules, THC and CBD both have benefits for cancer patients. THC is useful for quelling nausea and vomiting caused by chemotherapy. CBD (cannabidiol) has been shown in test tubes and small animal studies to treat cancers of the pancreas, colon, prostate, breasts and lungs. Even though non-hallucinogenic CBD oil has a fantastic reputation as a safe pain killer, it is not legal to sell it in some countries, including the U.S.
Cannabis fights cancer by prompting apoptosis (death), preventing growth of new blood vessels to tumors, and stopping cell divisions. It also inhibits their movement into neighboring tissue. Medical marijuana and hemp oil contains high levels of medicinal and low levels of THC. Read more about cannabis as an anti-cancer herb here. Turmeric is one of the main curry spices. It is also one of the most potent anti-cancer herbs. Its main constituent, curcumin, has been studied extensively, and appears to be useful in treating just about every type of cancer. When absorbed by the cells, turmeric can affect around 700 genes and acts on over 100 molecular pathways. It has anti-oxidant, anti-microbial and powerful anti-inflammatory actions. Research shows that turmeric fights cancer in a variety of ways. It eases inflammation and protects healthy cells from turning cancerous, It inhibits cancer cells from multiplying, shrinks cancerous tumors and inhibits their blood supply. A University of Michigan Comprehensive Cancer study showed that turmeric, along with black pepper (to aid absorption) slowed the growth of breast cancer stem cells in tumors. Add health boosting turmeric to soups and stews or take in capsules. Therapeutic doses are generally between 500-1000 mg 3-4 times a day. 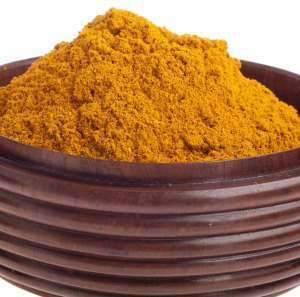 Curcumin is best absorbed with piperine (black pepper) and fat. This favorite culinary herb is rich in antioxidants. It is a powerful anti-inflammatory spice with anti-tumor, anti-microbial, and anti-parasitic properties. Cloves show promise as a stomach, colon, skin, and lung cancer-fighting herb. Use powdered or whole cloves year round for its health promoting benefits. Chamomile tea is much loved as a relaxing herb that also soothes tummy troubles. It makes the anti-cancer herbs list because Greek researchers discovered that when people drank chamomile tea two to six times a week over a 30 year period, they had 80% less risk of getting thyroid cancer and benign thyroid diseases than those who did not drink it. Chamomile contains the flavonoid, apigenin. In small animal studies, apigenin slowed breast cancer tumor growth and switched off its ability to be immortal. Mistletoe, the legendary plant of Christmas kisses, is also an herb for cancer. Fermented mistletoe extracts are prescribed to cancer patients in certain European countries. 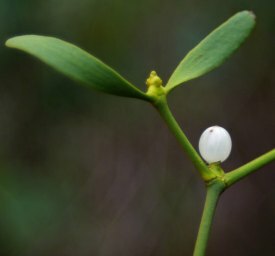 It is still under study in the U.S.
Mistletoe has been shown to promote the death of cancerous cells in the lab. It boosts the immune system. Mistletoe helps reduce symptoms such as nausea, vomiting and numbness, diarrhea and fatigue caused by chemo and radiation. Patients also report feeling more positive and less anxious. Dandelion, often deemed a garden pest and eradicated with poison, is one of our best herbal allies for health, including cancer prevention and treatment. Other cancers, including chemotherapy resistant melanomas, have also been shown to respond to dandelion. Dandelion root is a supreme liver cleanser. Most people can safely drink the root tea daily for many months for a gradual cleansing effect. This itself makes dandelion a worthy cancer prevention herb. Worth noting among anti-cancer herbs is berberine. This flourescent yellow colored alkoloid is found in roots, stems, and bark of certain plants including coptis, goldenseal, Oregon grape, barberry and others. Berberine has been used in Chinese Medicine for thousands of years and is renowned for its antimicrobial properties. Berberine is now making headlines as a powerful cancer fighter because it slows blood vessel growth to tumors. It seems to suppress the growth of a wide variety of tumors including those in the breast, prostate, liver, pancreas and brain. Wormwood is potent against intestinal parasites, microbes and yeast. It is shown to have direct ant-cancer effects as well. Milk Thistle protects the liver from toxins and can reduce toxicity during chemotherapy. 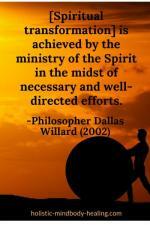 Your doctor may prefer you wait to take milk thistle until your treatments are finished. Milk thistle contains silymarin, a flavonoid that protects against skin and colon cancer. It stimulates glutathione and SOD activity needed for detoxification and promotes oxygenation to blood cells. A therapeutic dose for liver detoxification, inflammation, and a lower cancer risk is 200-600 mg of milk thistle daily. The ursolic acid found in holy basil reduces inflammation-promoting enzymes that block abnormal cell cycles and the expression of genes that turn off cellular death. This makes it more difficult for cancer stem cells to reproduce, spread, and live long lives. Ursolic acid is also found in apple peels, lavender, peppermint, thyme, and oregano. Holy basil tastes nice as a tea and is also available as tinctures and capsules. Cancer herbs are often used in combination. Anti-inflammatory herbs such as red clover and ginger, and cleansing antimicrobial herbs such as Pau D’Arco may also be helpful anti-cancer herbs. No scientific evidence exists to show the effectiveness of pau d'arco. The following supplements have been studied and used as part of comprehensive cancer prevention and treatment protocols. They are provided here as examples of natural cancer therapies. Beta Glucan has been the subject of much research and is even being used to enhance other treatments by some conventional medical doctors. It has been approved as an immune therapy in several countries. Beta Glucan is a natural fiber molecule that safely modulates the immune system and makes it smarter without overstimulating it. It is found in seaweed, grains, buckwheat and mushrooms. Beta 1, 3-D Glucan supplements are made from baker’s yeast. Pancreatic, or proteolytic, enzymes that are specially manufactured and taken in high doses have a strong anti-neoplastic effect. They were an important part of Dr. Kelley's metabolic therapy protocol. Over the counter pancreatic enzymes are probably not effective as cancer fighters. Vitamin D has been shown in hundreds of studies to reduce the risk of all cancers by up to 77% and reduce the risk of all cancers up to 77% and more for non-inflammatory breast cancer. Vitamin D fights cancer by promoting apoptosis and inhibiting a tumor's blood supply. It appears to keep breast cancer from spreading. Optimal Vitamin D levels are very important to a well functioning immune system. Suggested blood levels are between 50-70 ng/ml and up to 100 ng/ml to treat cancer. Postmenopausal women are 1.5 times more likely to get breast cancer if they are vitamin D deficient and overweight. 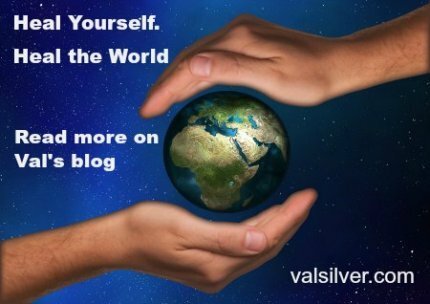 Magnesium Chloride is, according to Dr. Mark Sircus, a top priority natural cancer cure. He says, "Magnesium chloride is the first and most important item in any person's cancer treatment strategy." He suggests that from the first day of a cancer survival protocol that a patient "almost drown oneself in transdermally applied magnesium chloride." It takes a few months for cellular levels to get up to normal, but patients often experience its medicinal and healing effects within days. DMSO and Vitamin C treatment - This twice daily method is designed to get cancer-killing vitamin C into rogue cells. The theory is that because cancer cells consume much more glucose than regular cells, they will also consume more vitamin C, which is similar to glucose. DMSO helps it target the cancer cells and get inside them. When done along with a very low sugar diet, more Vitamin C gets into the cells and destroys them. 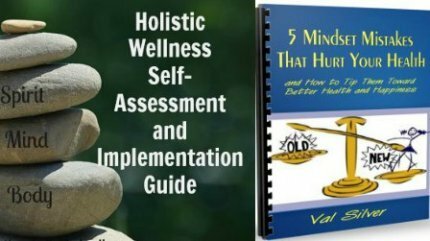 Healthy anti-cancer foods and detoxification, exercise, and anti-cancer herbs and supplements help prevent and treat cancer as part of your comprehensive wellness protocol. If you are suffering from this disease, please work with your medical specialist or holistic cancer coach to design a program specifically for you and your needs so you get the best possible results.